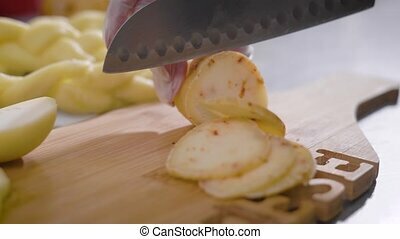 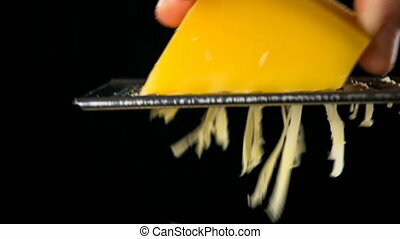 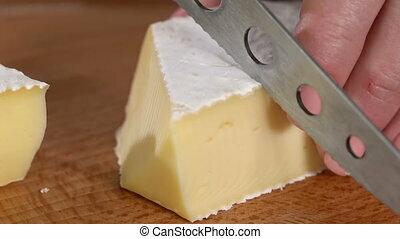 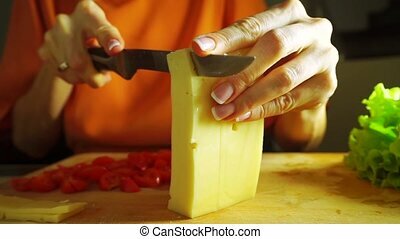 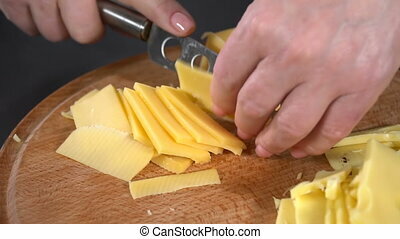 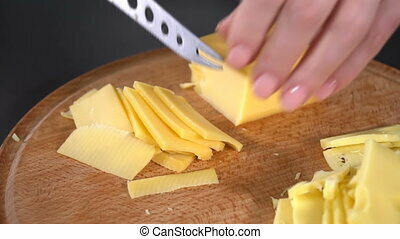 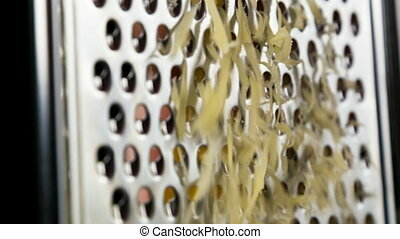 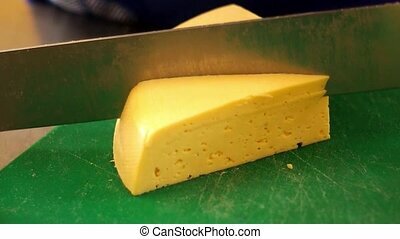 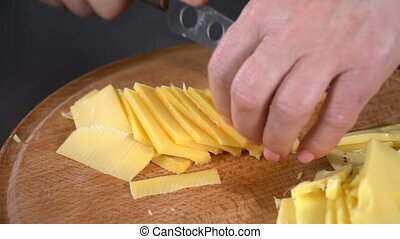 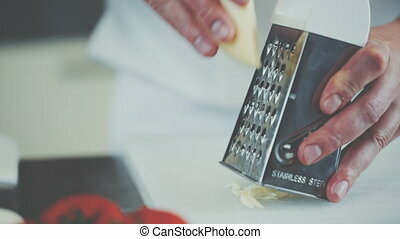 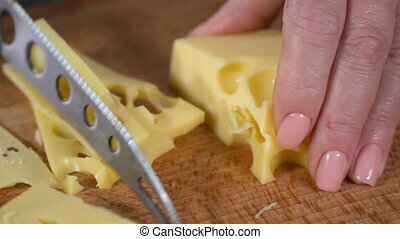 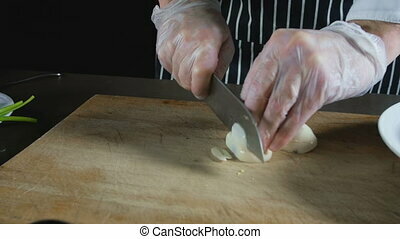 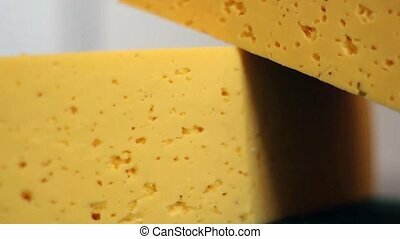 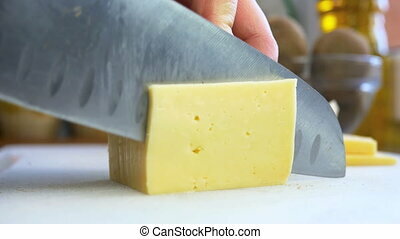 Cook cuts hard cheese. 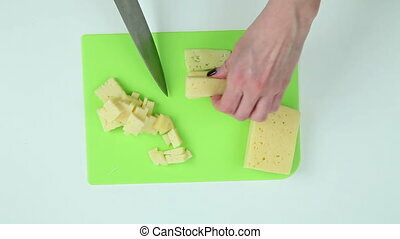 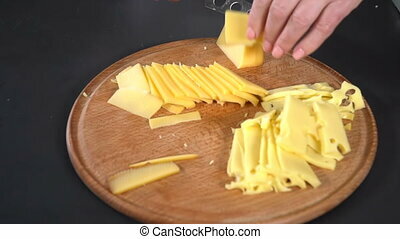 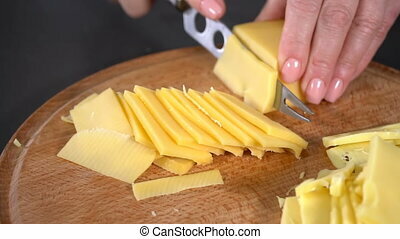 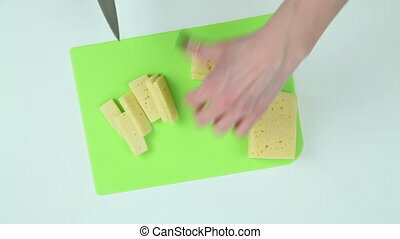 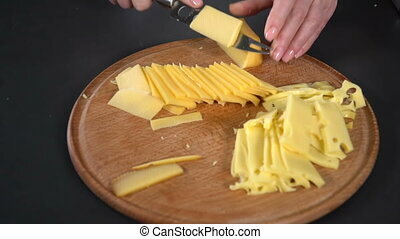 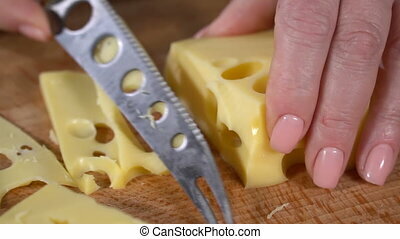 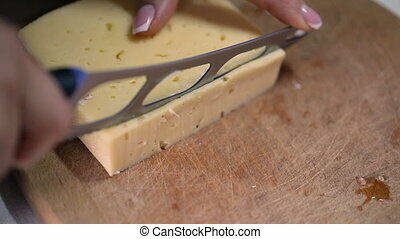 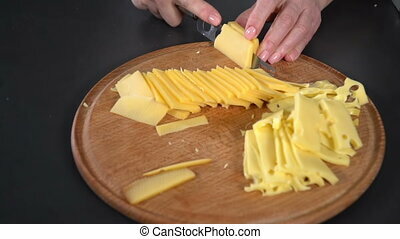 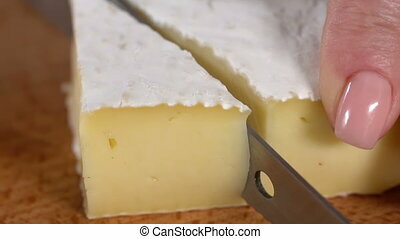 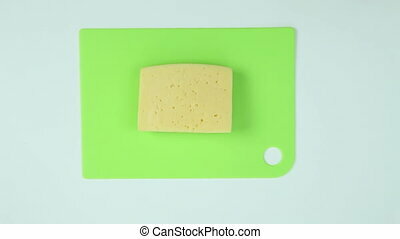 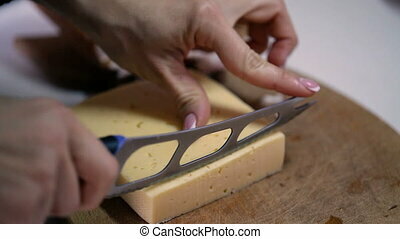 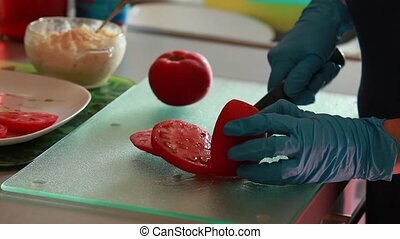 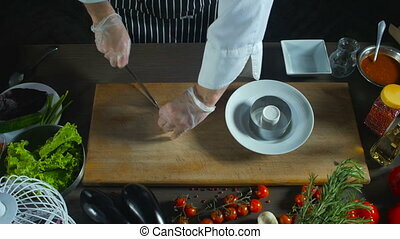 Chef cuts hard cheese on a cutting board. 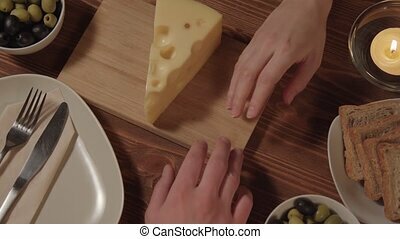 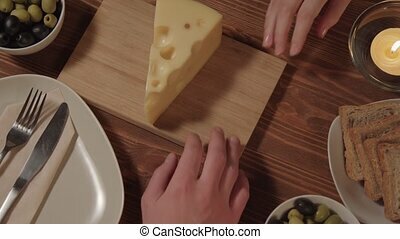 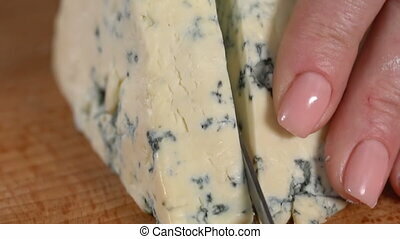 the woman takes the hand of the man on the table is cheese olives.